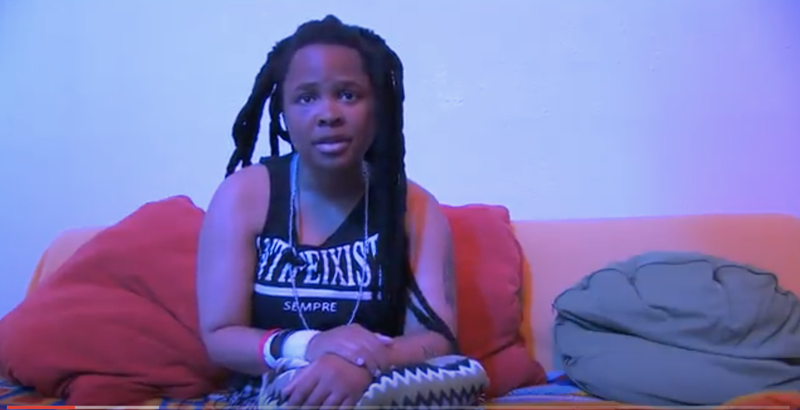 The host of an Airbnb in Amsterdam can be seen in a video pushing Sibahle Nkumbi, a black South African woman, down a steep flight of stairs during what is believed to be a racially motivated altercation over her late checkout. In a video interview with journalist Kevin P. Roberson, Nkumbi says that she was traveling to Amsterdam to write about a local exhibition. The Washington Post reports that Nkumbi was traveling with two women and African artist Zanele Muholi, who shared the video on social media. Nkumbi states that he was verbally abusive, saying, “You people” and other comments, including, “This is not Africa.” After being pushed down the stairs, Nkumbi lost consciousness. She later woke up in a hospital with a concussion, covered in bruises. The Twitter hashtag #AirbnbWhileBlack first surfaced in 2016 after black Airbnb users shared similar experiences via social media of racial discrimination. Since then, Airbnb has made several efforts to improve its racial-discrimination problem by holding hosts accountable to a nondiscrimination policy. Appalling and unconscionable behavior against members of our community runs counter to everything Airbnb stands for. Our CEO Brian Chesky and I are reaching out to affected guests. We will take the strongest actions we can against such abhorrent conduct, including banning people for life from our platform and assisting law enforcement with their investigation and potential prosecution. Nobody should ever be treated like this and it will not be tolerated.